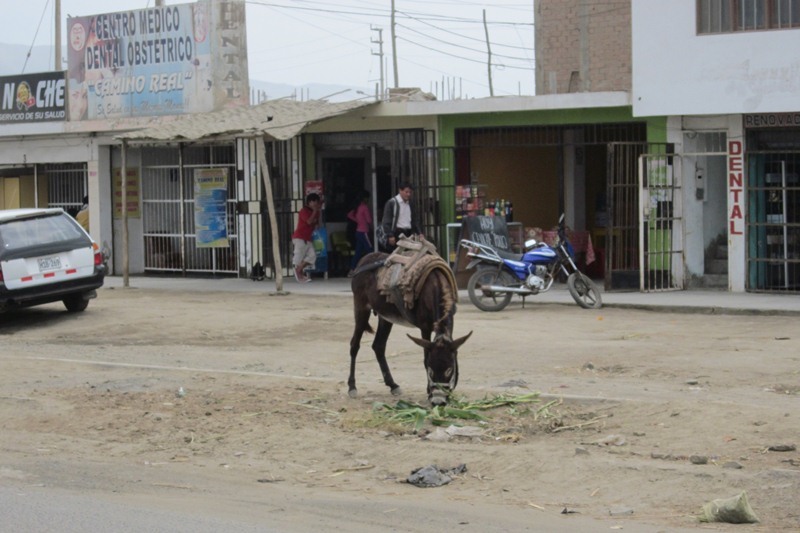 The coastal city of Chimbote is not for the faint of heart: According to the Pan American Health Organization, at least 45 percent of the city’s residents live in conditions of extreme poverty. 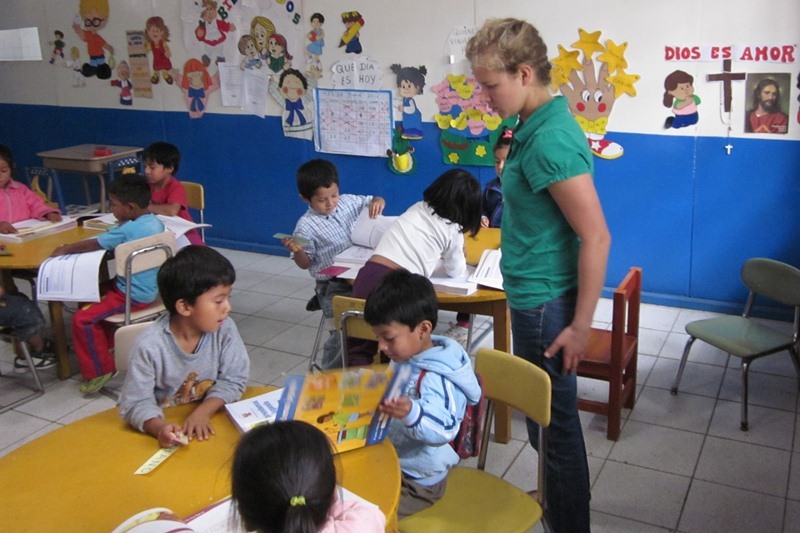 The international aid organization CARE reports that the average Chimbotano only earns about $300 each year, and the Worldwatch Institute reports that life expectancy in Chimbote is 10 years lower than Peru’s national average. 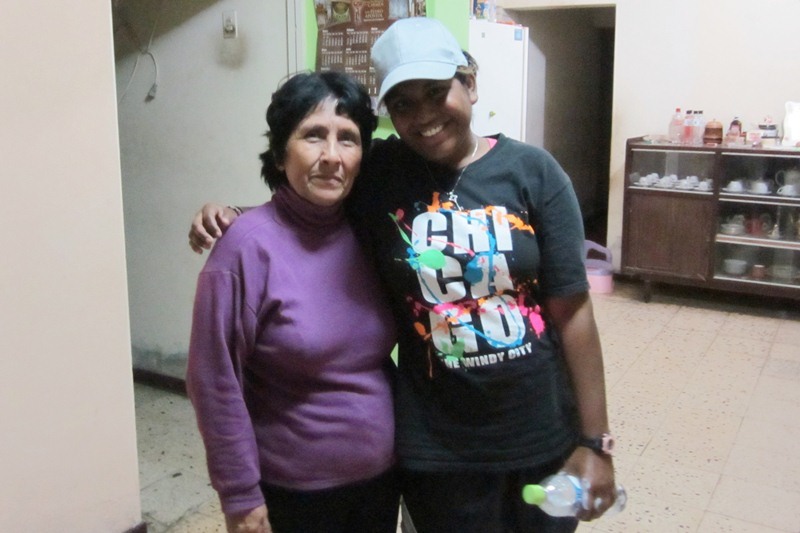 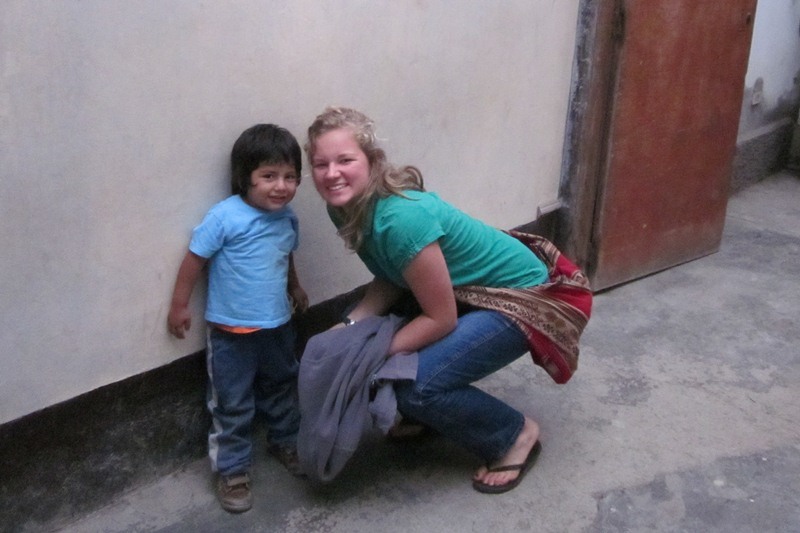 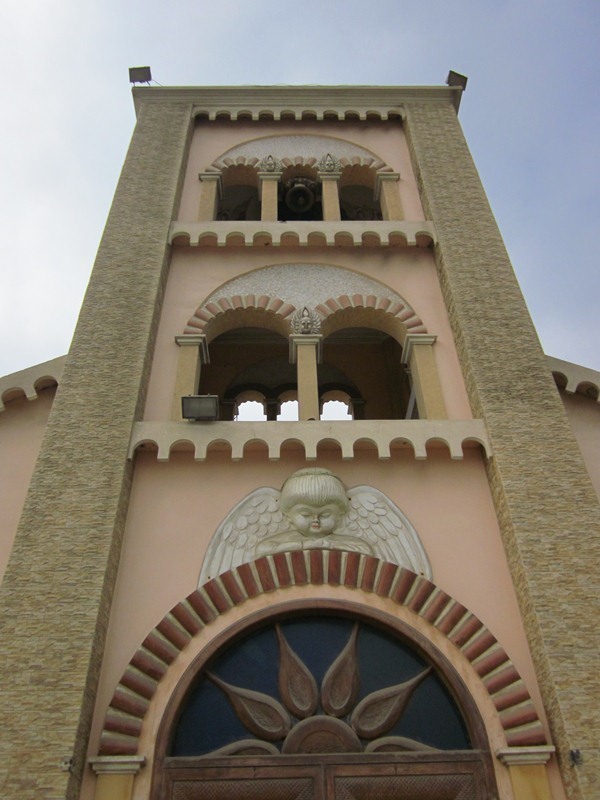 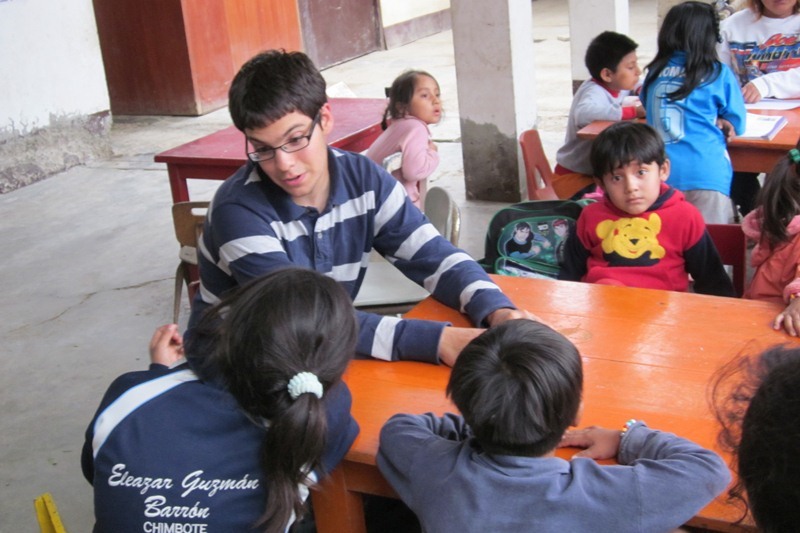 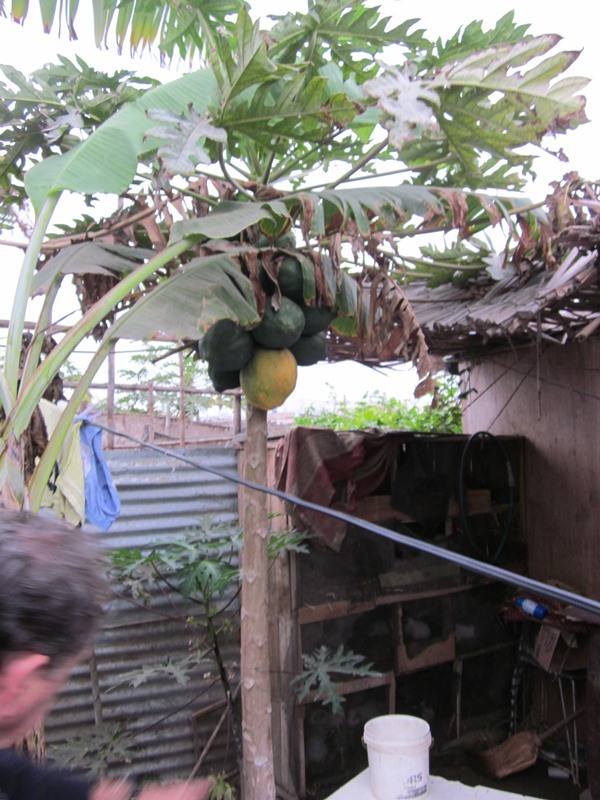 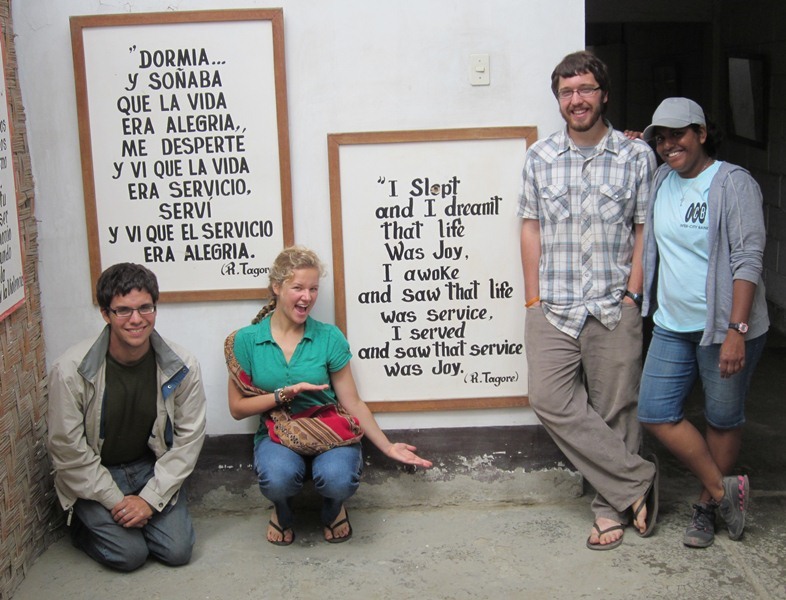 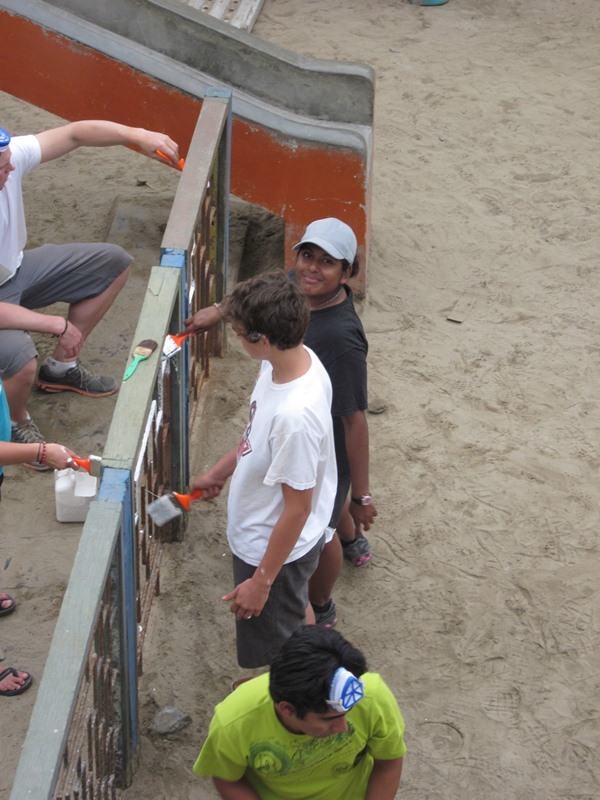 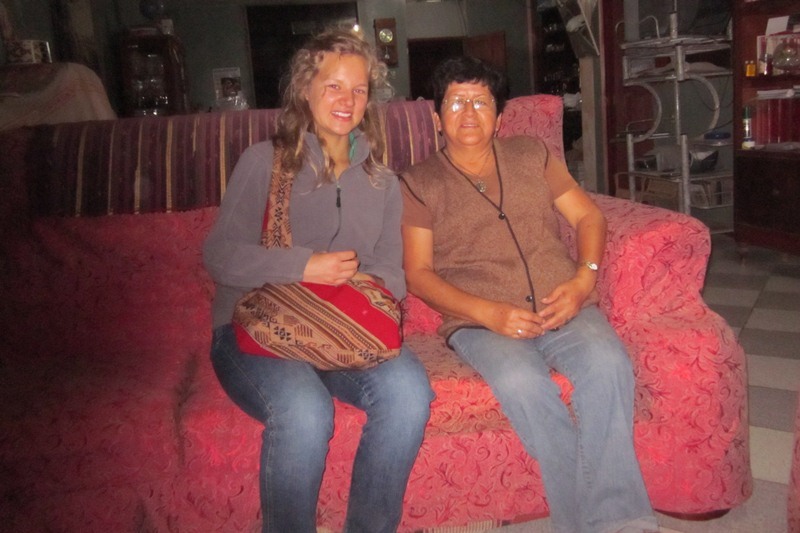 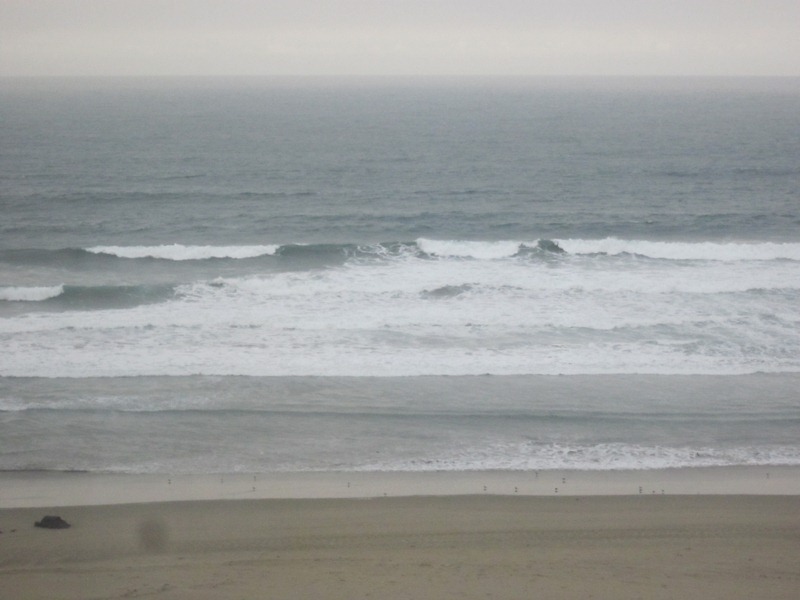 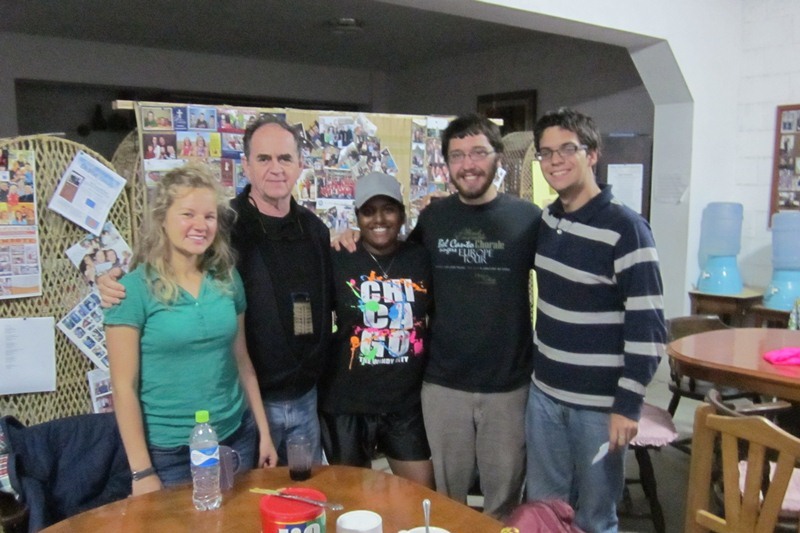 But more than 400,000 people call Chimbote home–including, for six weeks, four SSTers who are working with Los Amigos. 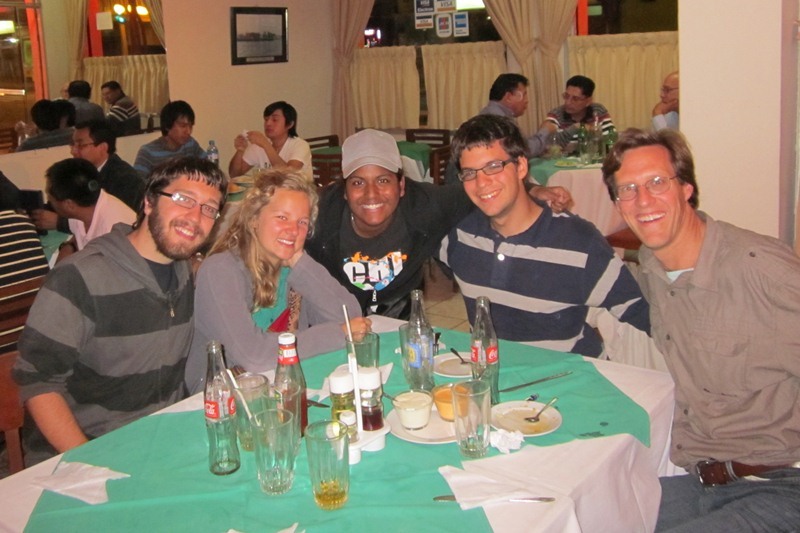 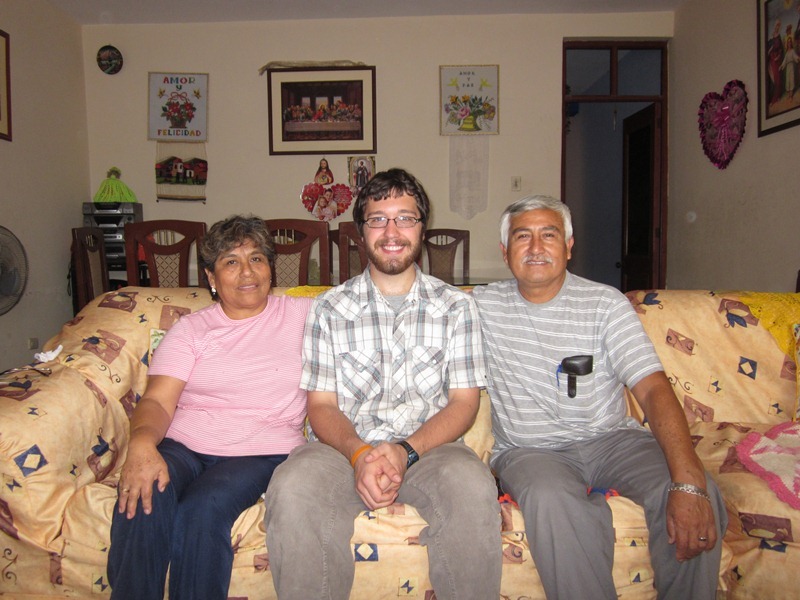 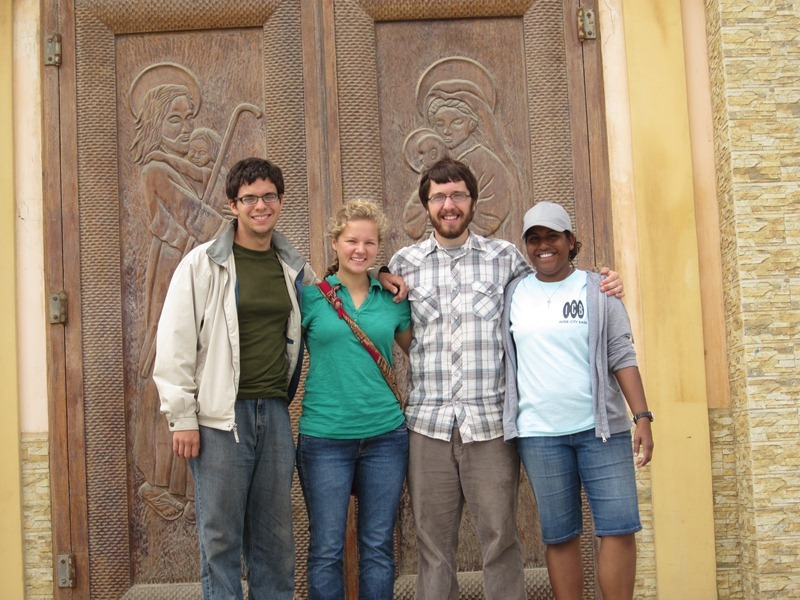 Jonathan, Maria, Minda, and Nate were welcomed right away by the dedicated people at Los Amigos, a faith-based organization that supports programs to improve and transform the lives of the poor of Chimbote. 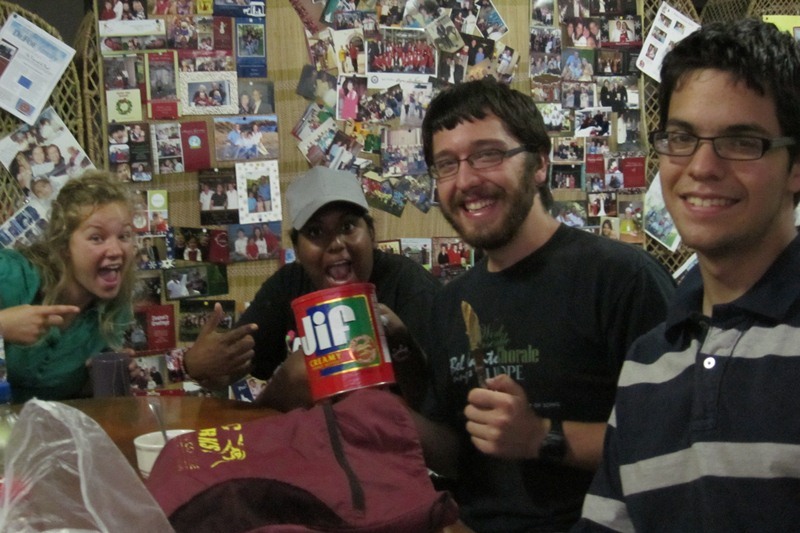 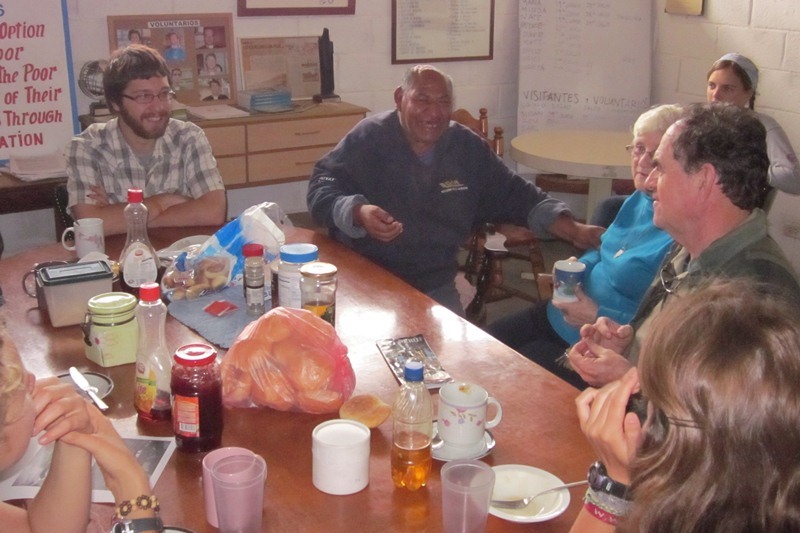 Each morning the cadre of international volunteers gathers along with Peruvian staff and friends for prayers and singing in the chapel, and then meets for breakfast and an informal briefing in the “gringo room.” After that, they head to work. 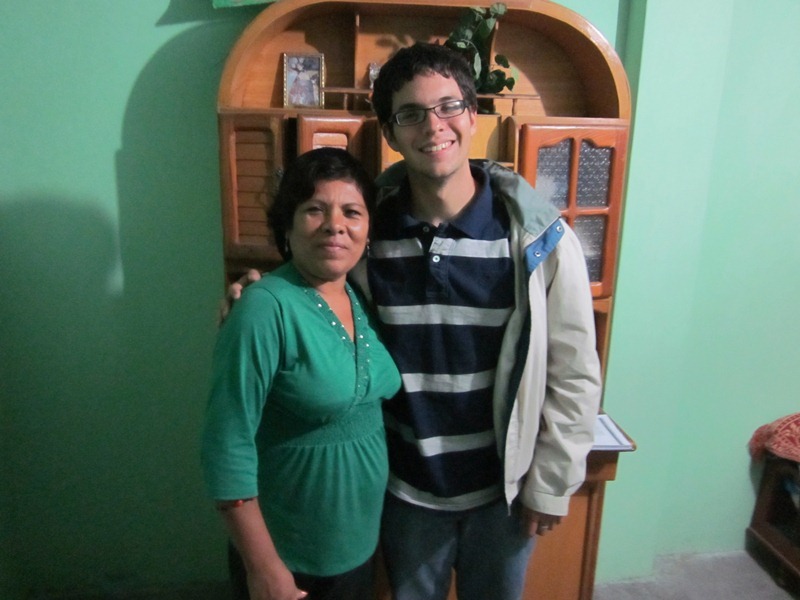 Maria and Jonathan are both serving as teacher’s aides in kindergarten classrooms in the mornings. 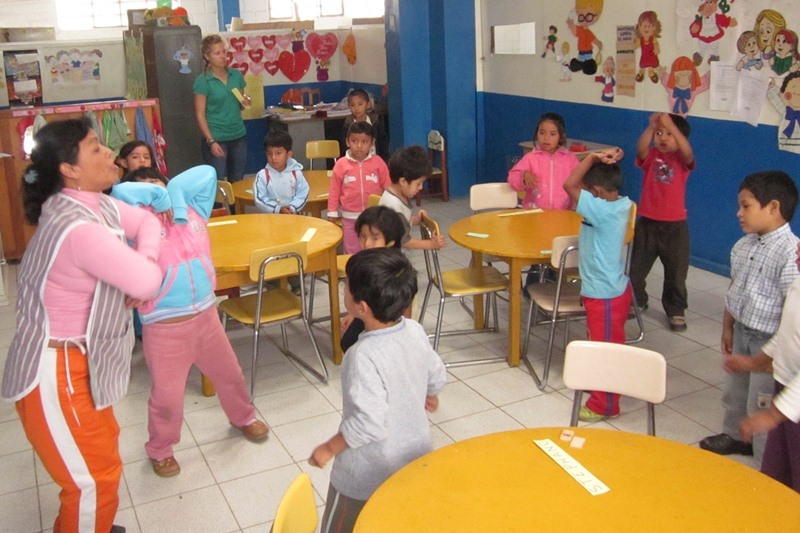 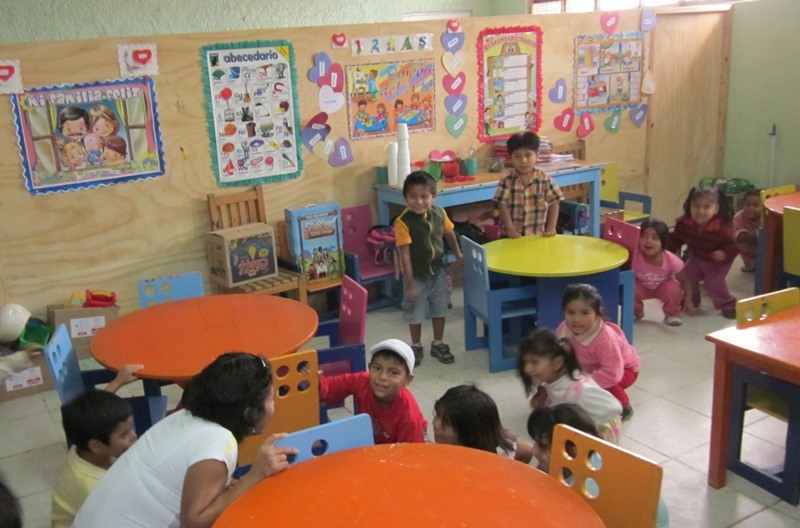 They spend their afternoons in one of the centers of prevention, an after-school program run by Los Amigos. 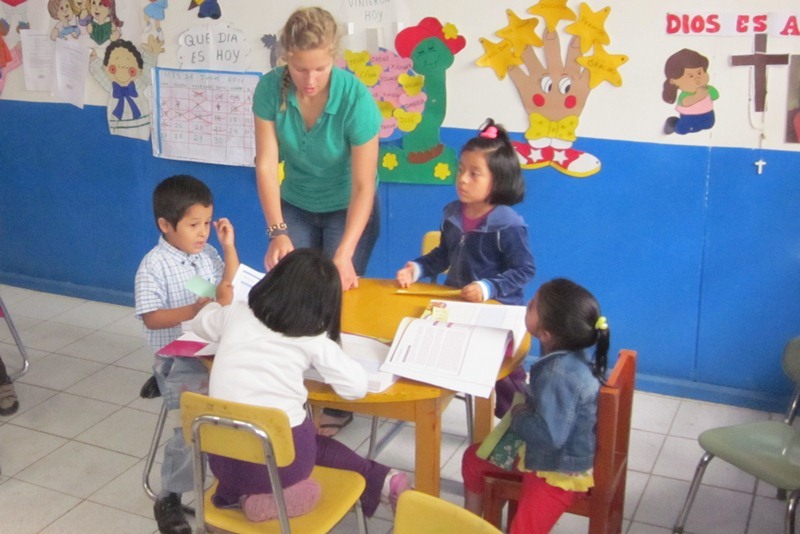 They provide homework assistance, plan activities, and spend time with the kids there. 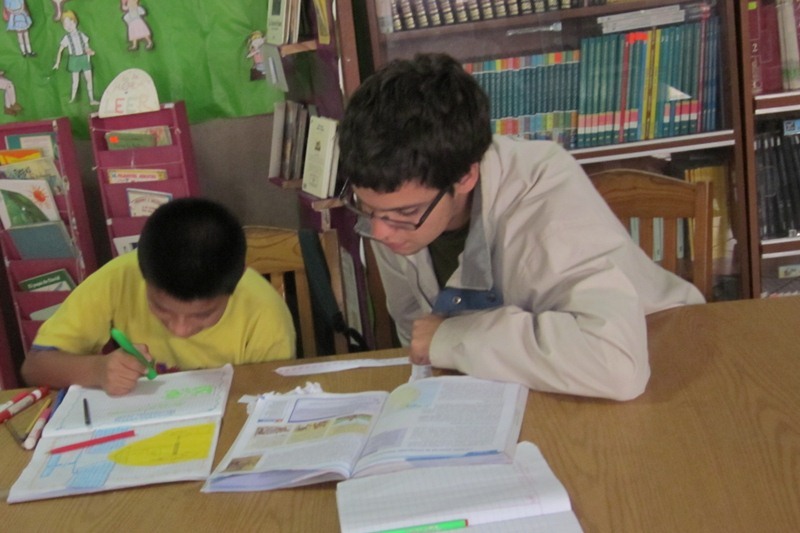 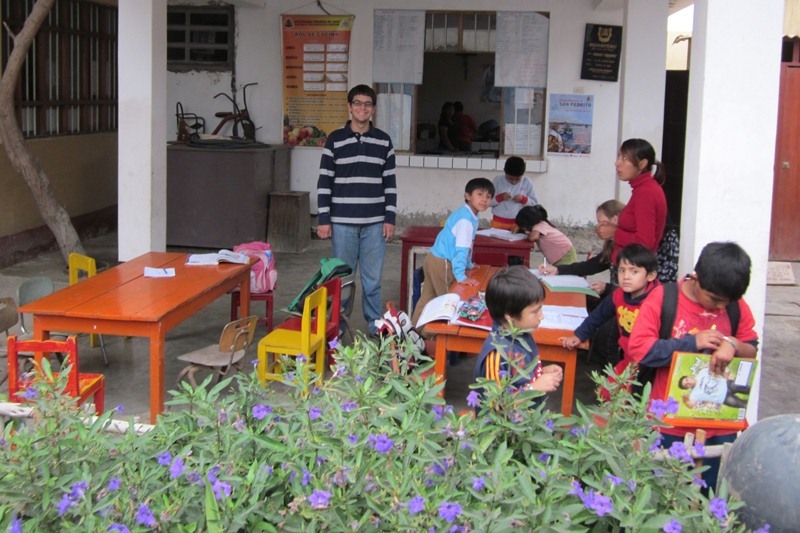 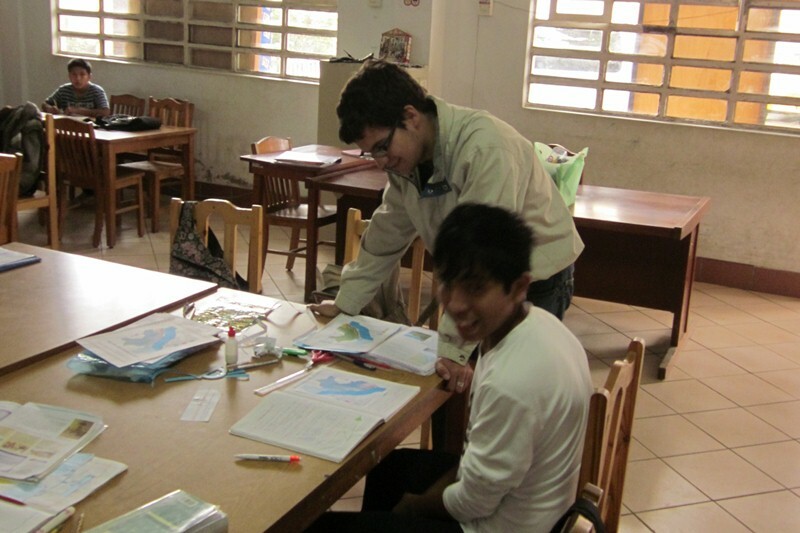 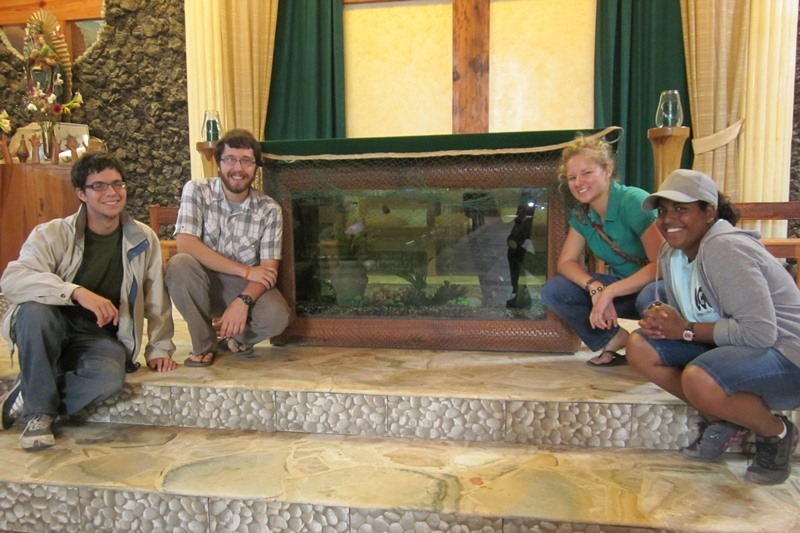 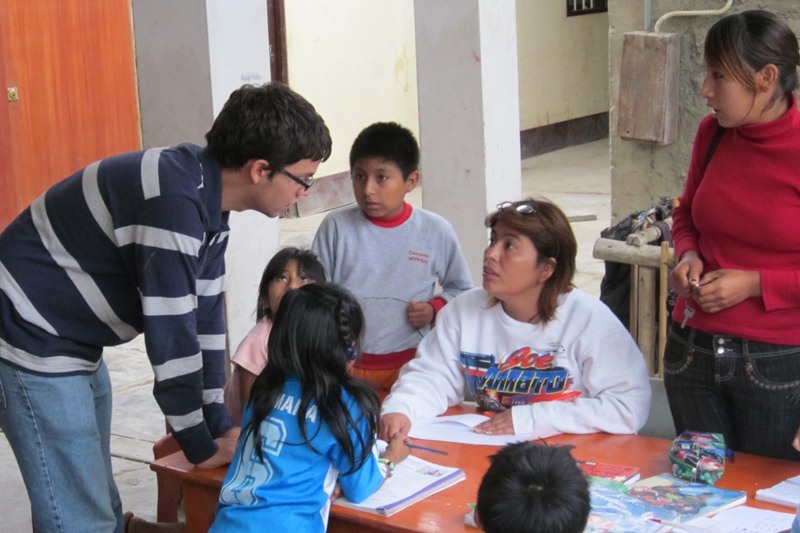 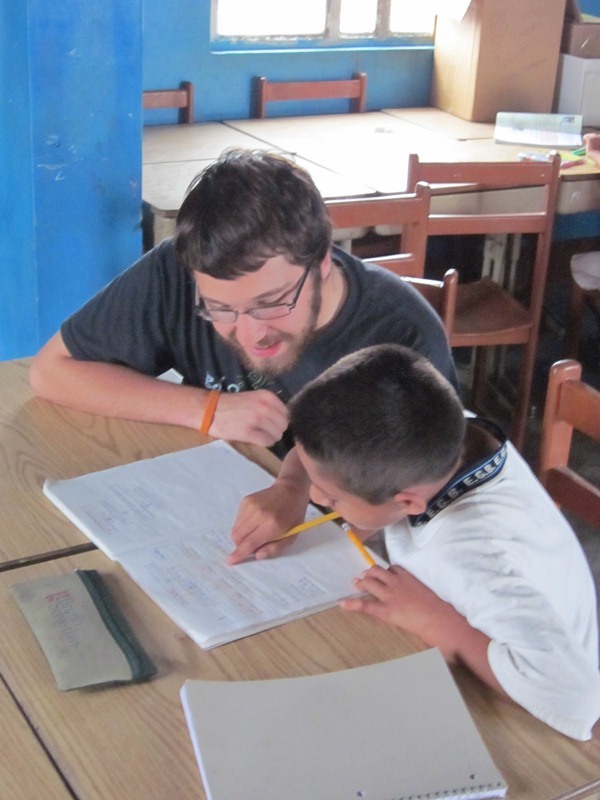 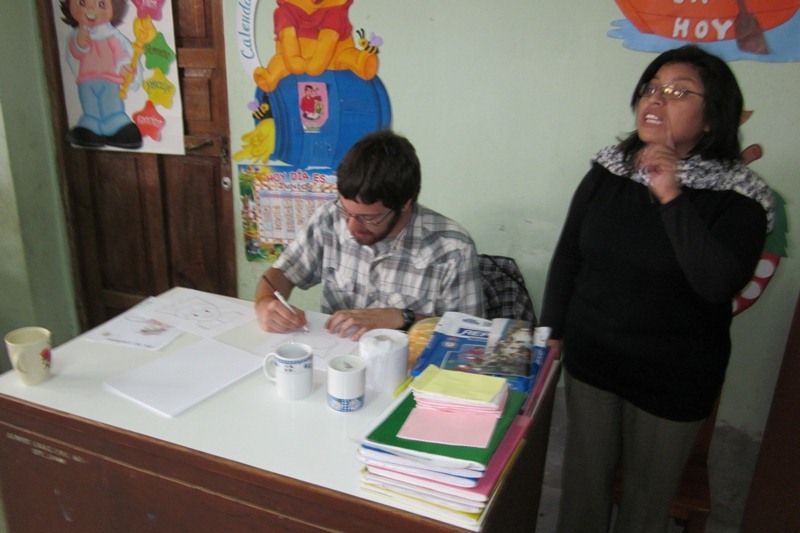 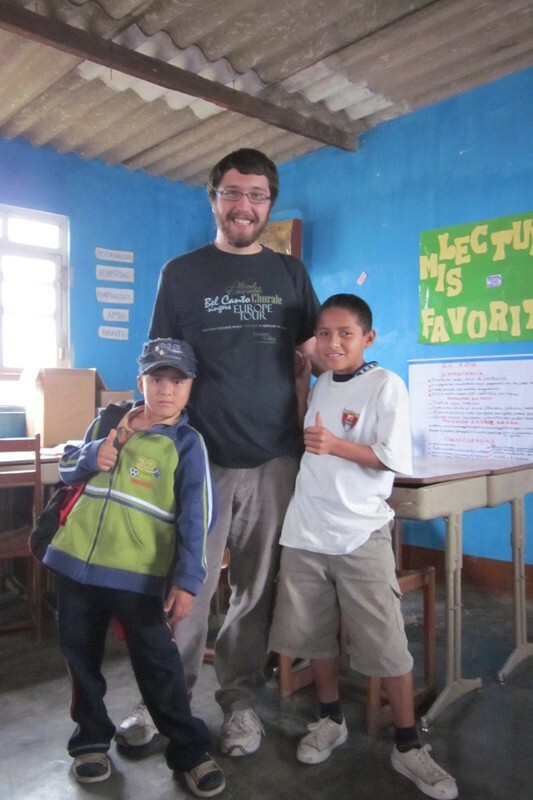 Each morning Minda and Nate teach English to students between the ages of 9 and 12. 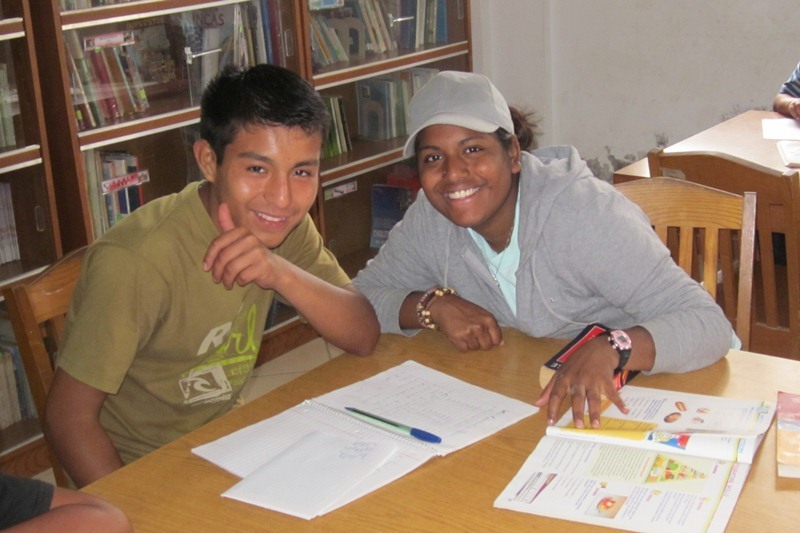 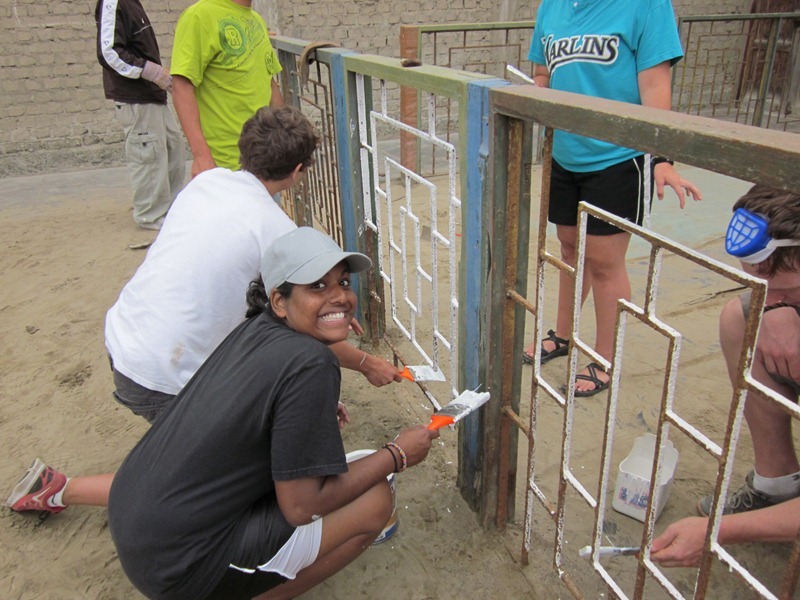 In the afternoon, Minda has been doing various manual labor jobs—the day of our visit she was painting a fence—while Nate tutors students in one of the centers of prevention. 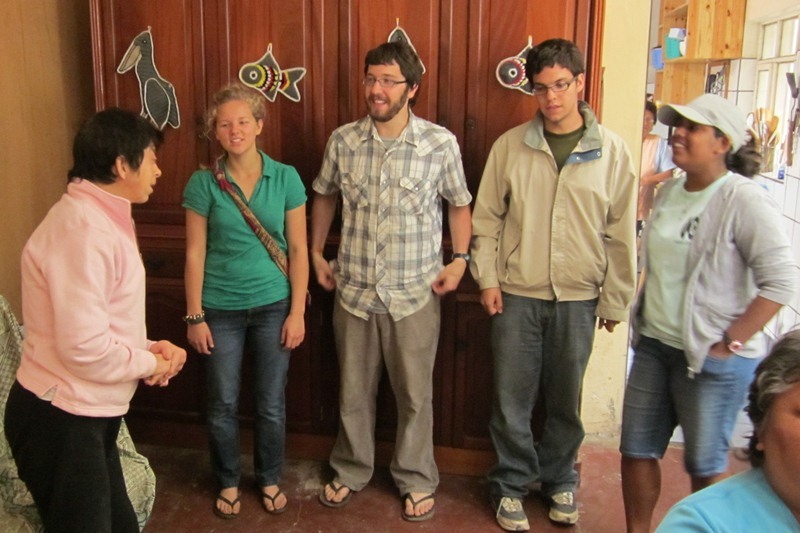 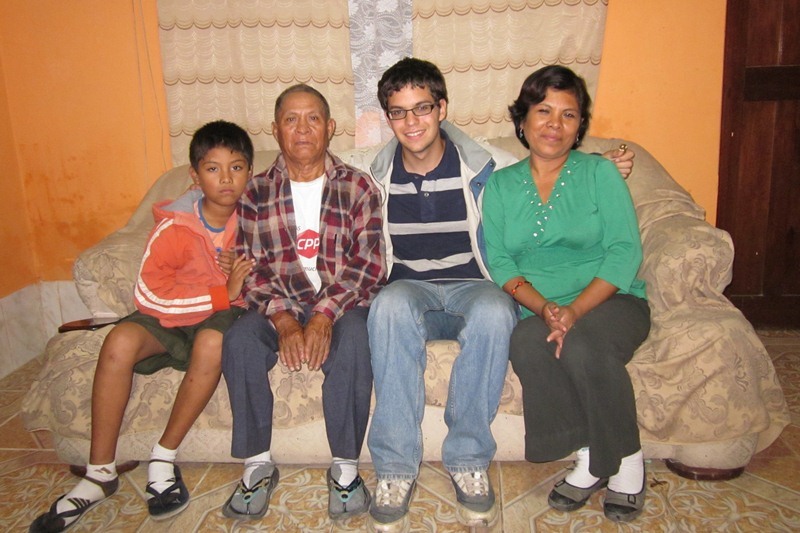 All four SSTers’ host families live within a few blocks of the Los Amigos center, so they can easily walk to work. 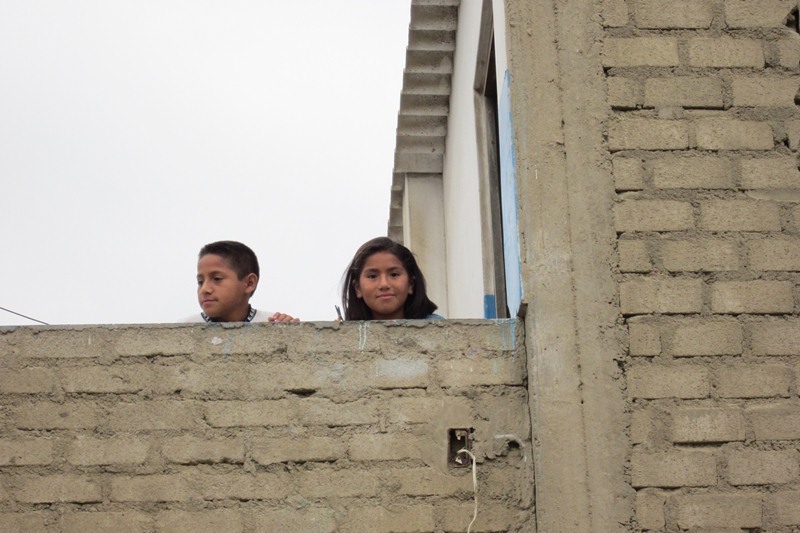 Chimbote is Peru’s largest fishing port, and last week the SSTers there got to experience the annual Festival of San Pedrito, a weeklong celebration in honor of St. Peter, the city’s patron saint, whose feast day is June 29.